What’s memorable: Latisha appears to really like herself and her life, fancying herself popular and well liked, but the image she has of herself is a bit different from how people actually see her, as her daughter says. 20 hours a day smoking crack at her kitchen table, she can’t be too popular. Her kids at the intervention were heartbreaking. So glad she went to treatment. Official synopsis: A mother of three, Latisha will go to any lengths to feed her crack addiction, including prostitution. Having been abandoned by her own parents because of their addictions, she’s happy with her life and just wants her family to get off her back, but the needs of her young daughter Tuesday are going unmet. There’s only one way to save Latisha from her herself–an intervention. This episode was in Kalamazoo, Michigan. is latisha currently clean? is her daughter sadiha drinking heavily? LaTisha if you ever read this I just want you to know that I am proud of your recovery. My moma has been a crack addict, alcoholic, and with her being ill she now abuses pain meds also. I’m 31 and I don’t remember her being sober longer than 60 days but I can remember attending meeting with her just to support her. She still uses and it has made our relationship astranged but I know its a sickness. So just to see 1 person make it, its a blessing. Keep up the good work. As of March 2016, Latisha is clean and works as a sober life coach. It kinda took me back watch this program I looked at you and ” DAM ” such a beautiful mother and caught up in the game! I am good to hear your doing the right thing and getting back on track, keep on keeping on sister and you’ll be at peace with the world around. God bless ???????? Latisha, I watched the Intervention show today, about you, your precious children, and your parents. Your beautiful children made me weep at their tears during your intervention meeting. Seeing you healthy and so beautiful, was inspiring to others I know. Keep up the fight, and keep on keeping on!!! What a fabulous woman with a fabulous family! This is one of my favorite episodes and post-show success stories. Her family speaking at the intervention made me cry my eyes out with them. I am so happy for Latisha and her family! And that Latisha is helping others to overcome addiction. Latisha … your family and this positive path you are on are things very much to be proud of! You have truly become a queen! 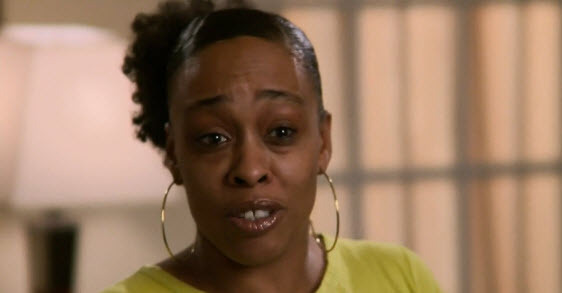 Drug addiction has plagued black communities for years, but Latisha is only the second black woman I’ve seen on Intervention, so this episode really touched me. I think it’s the only episode that had me crying like a baby. I’m so proud of her. “Y’all cannot keep me CLEAN!” is what the situation is. This woman is brilliant! that says it all. Why do the interventionists not address relapse? any updates on those three beautiful children?